If your LG Optimus L7 P700 battery isn’t charging properly, don’t immediately assume your phone charger or your battery is broken. Based on personal experience, the problem – and solution – may be much simpler. If your phone isn’t charging properly or at all, take a look at below picture to fix a phone that won’t charge problem. – Trace each of the connection line paths from LG P700 USB pins down to the components where it is directly connected. 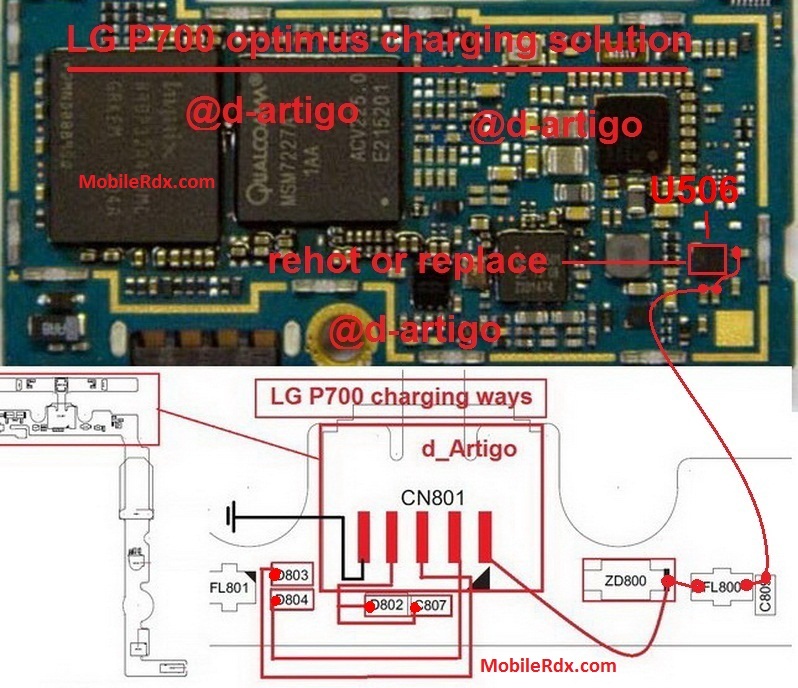 After removing body of your LG Optimus L7 P700, the very first thing that you need to do is to re-solder first pin of charging connector and check. If all Charging track ways is working means then replace Charging Connector. Your problem will solve.